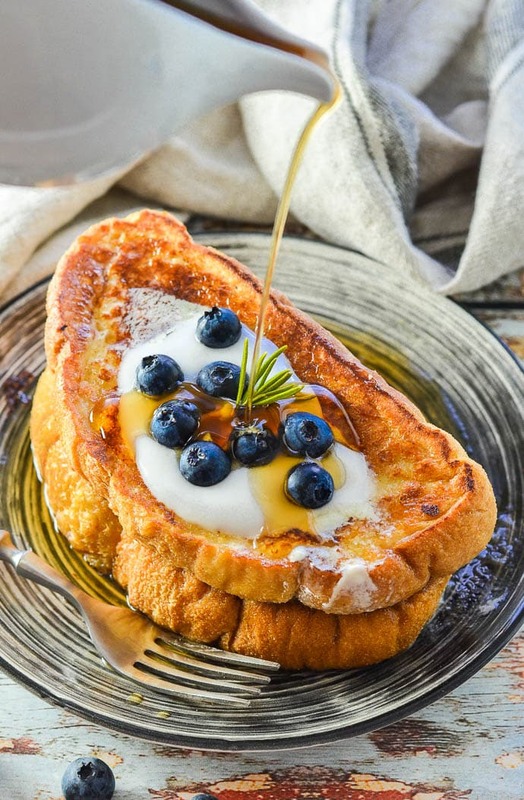 Ok, your brunch dreams are about to come true with THE best Vegan French Toast ever! It’s soft, sweet, vanilla scented, golden perfection & all you need to make it are a few simple ingredients & 15 minutes. So why have I not created a Vegan French Toast recipe until now? I think I’ve been failing as a vegan food blogger and today I am putting it right and bringing you THE most amazing Vegan French Toast EVER! We are talking thick, crusty bread, dunked in thick, sweet custard then pan-fried or griddled until it reaches fluffy, golden perfection. 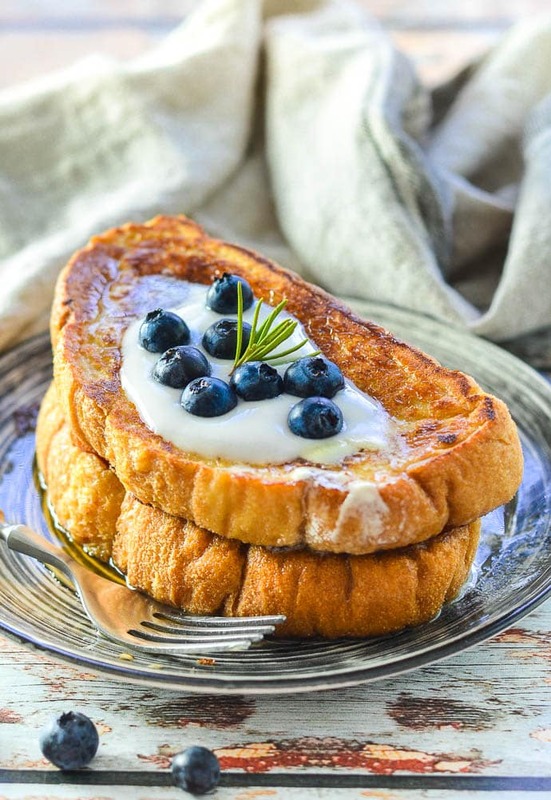 A couple of slices stacked up with a knob of Vegan Butter and some maple syrup, or some vegan yogurt and berries of choice is quite literally brunch perfection. Do you want to know why I haven’t tried to work on a Vegan French Toast recipe before? 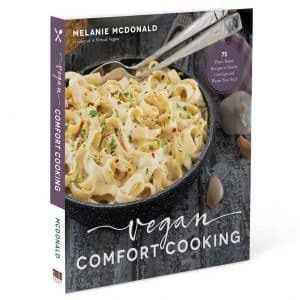 I have tried many recipes, from some excellent vegan bloggers but at the end of the day their recipes are always bread dipped in sweet plant-based milk, or a mixture of plant-based milk and chia seeds. Sometime even chickpea flour makes an appearance. All of these are ok, but the results are nowhere near as good as proper eggy French Toast. Sweet milk or sweet milk with some chia seeds stirred in is not custard and just doesn’t do it for me. If I can’t make it as good as the original then I’m not making it at all. Years of French Toast disappointment and longing have passed. Seriously, it was my favourite brunch prior to becoming vegan. Then, a couple of weeks ago I woke up in the middle of the night with an idea. 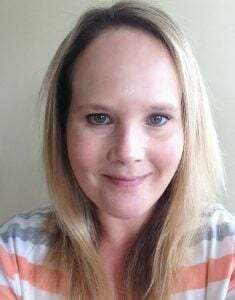 Yes, I’m weird. I keep a notebook beside my bed because I often wake up with ideas and if I don’t write them down, by the morning they have disappeared into recipe oblivion. So anyway, my idea worked and here we are. 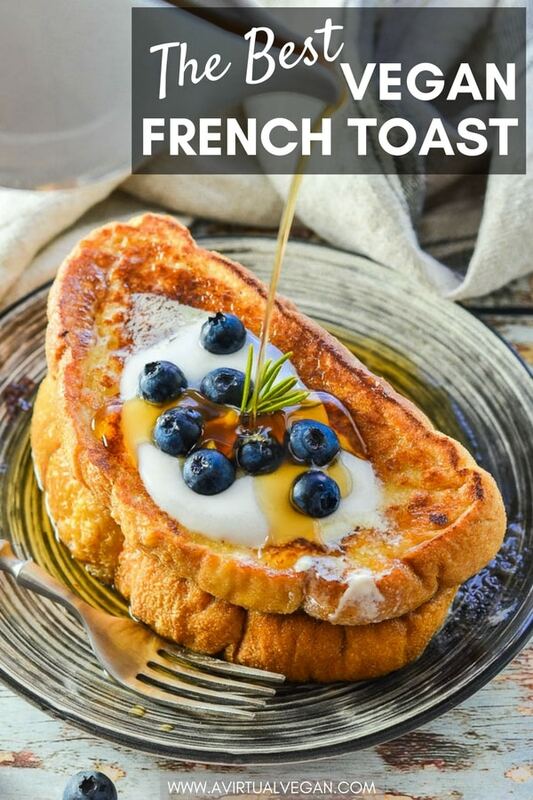 How do you make Vegan French Toast? When you make French Toast with eggs, the eggs cook in the custard and start to set. That’s what gives you the soft, melting, custardy centre. My Vegan French Toast uses tofu instead of eggs and as the French Toast cooks in the pan, the custard starts to set a little and you end up with the same texture as you would if using eggs. slightly stale, crusty white bread. Using a good quality loaf makes all the difference to the finished result and using bread that is a little dry or even really stale gives the best results. Fresh bread ends up too soggy. Get those slices and drench them in the custard, then pan-fry or griddle until absolutely golden brown and crispy around the edges. 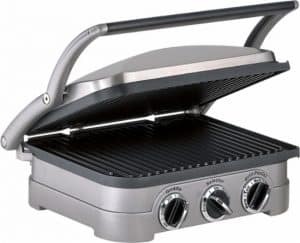 It can be used as a grill, panini press and griddle. 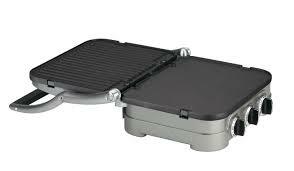 The plates can be turned over independently so you have the griddle side or a flat surface or one of each. Nothing ever sticks to it (even without oil) and it flips open like this to give you more surface area when you are making things like French Toast and pancakes. This totally isn’t sponsored by Cuisinart by the way. I just love this appliance and want to share it with you. 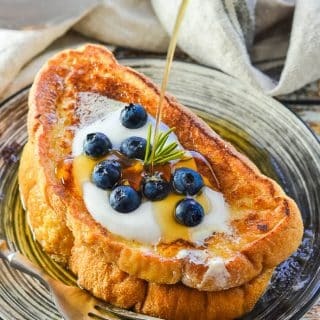 Can I make Vegan French Toast in advance? You could make the custard in advance and keep it in the fridge ready to dunk bread in at a moments notice. It’s not possible to make this recipe totally in advance though, but if that is something you would like to do, then I recommend you check out my Vegan French Toast Casserole. That can be made the night before, then left to soak up all of the yummy custard in the fridge overnight. Then when you get up the next day you can pop it in the oven. It’s ultra-convenient for lazy weekend or holiday brunches. Of all of my vegan tofu recipes, this Vegan French Toast is my favourite. It is absolutely incredible just as it is with a generous glug of real maple syrup. 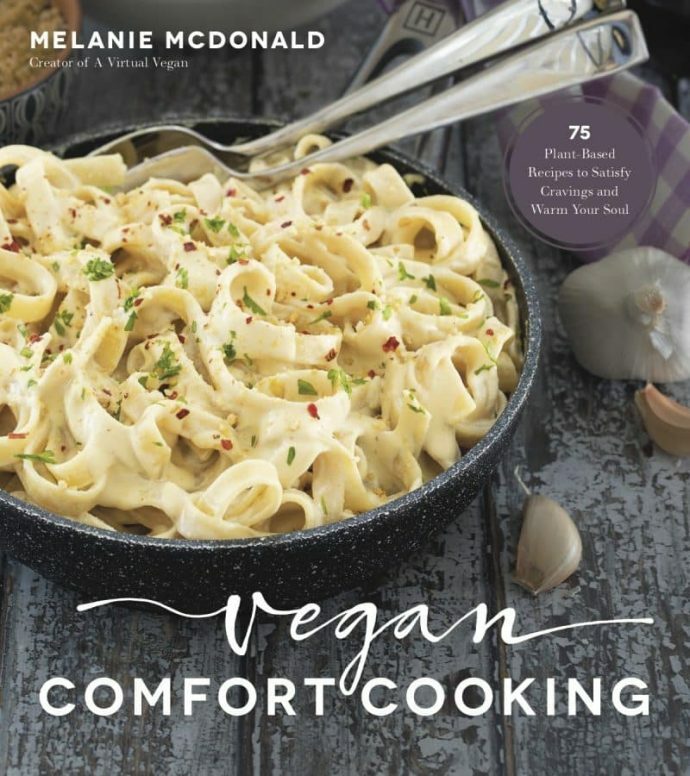 Take it up a notch with a big knob of vegan butter to melt over it too. It is also amazing with a dollop of vanilla vegan yogurt and berries of choice and a glug of maple syrup too if you are feeling generous! Or try serving it with my Vanilla Roasted Strawberries or Blueberry Lavender Sauce . That colour! It’s so golden brown. I did not touch up the goldenness in my photos at all (note that I did brush a little vegan butter on the griddle plates and if you don’t use butter then yours might not turn out quite as golden). It’s really high in protein at 10g per slice! It’s really filling and keeps you feeling that way for hours! Ok, time to make all of your brunching dreams come true….Let’s do this! 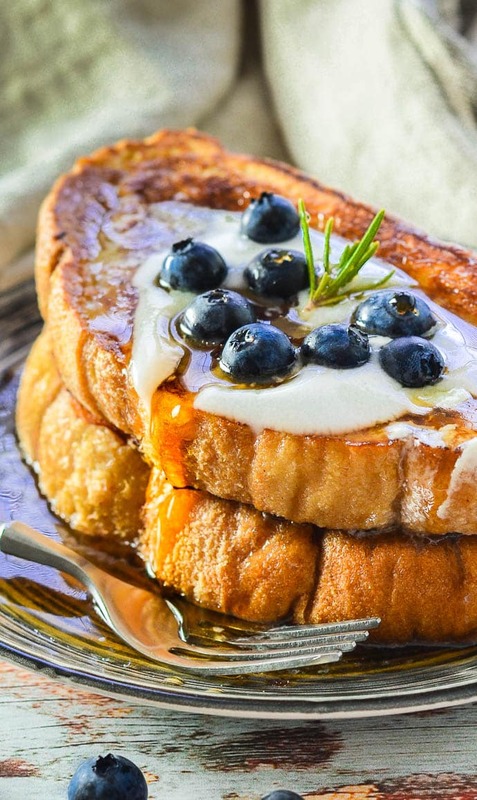 Ok, your brunch dreams are about to come true with THE best Vegan French Toast ever! It's soft, sweet, fluffy, vanilla scented, golden perfection & all you need are a few simple ingredients & around 15 minutes of your time. Add everything except the bread to a blender and blend until completely smooth. Preheat a griddle or a pan over a medium/low heat. I set my griddle to 350°F. Brush the griddle/pan with a little vegan butter (even if it's non stick I recommend doing this as it makes it much easier to keep the golden crust that develops on the bread intact when turning it). Pour the blended 'custard' into a wide bowl and dip the bread in it. Leave it to sit for around 20 seconds then turn over and leave for another 20 seconds. Make sure all areas are covered, then lift it out and quickly dip the crust around the edges. Carefully place the custardy bread slices onto the hot griddle or pan. Cook for around 4-5 minutes then flip carefully and cook for another 4-5 minutes on the other side. Try to leave it alone and not peek while it's cooking. If you move it too early the golden surface can get damaged and not look quite so pretty. Keep an eye on it while cooking and if there is any sign of it getting too dark turn it earlier or turn the heat down a little. Once it is very golden on each side, remove from the pan and serve immediately. *choose a neutral tasting milk. Almond milk has a really strong flavour and doesn't work well in this recipe. If you use sweetened milk omit the sugar or use a little less. I like to use cashew milk or soy milk. **extra firm tofu works best. Firm will be ok if that's all you have. Medium and soft are not advised. ***cane sugar is best, turbinado sugar is 2nd best. Do not use brown sugar or coconut sugar. Maple syrup is ok but best results and better colour come from using sugar. ****the butter is optional but recommended. It makes it slightly richer in flavour and helps with the browning. *****for the best results the bread you use must be a rustic, crusty white loaf that is slightly stale. Soft sandwich bread does not yield good results, nor does really fresh bread. Leftover 'custard' will keep in a sealed container in the fridge for 3-4 days. It does thicken up and go a little jelly like. Just add a little milk, put the lid on and give it a good shake or a quick whisk until it's smooth again and the consistency it was originally. Then use again as before.